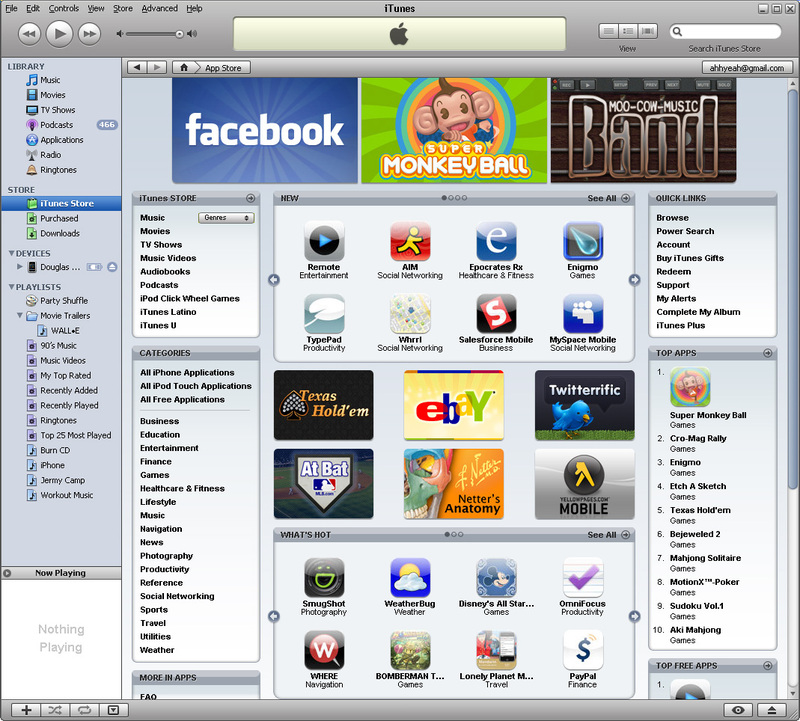 So it seems some people are, or were, able to get into the app store from iTunes. If you go to Edit > Preferences > General Tab and check mark Applications you can add it to Library in iTunes. Then when Applications is highlighted there are two options in the bottom right corner, Check for Updates and Get More Applications. 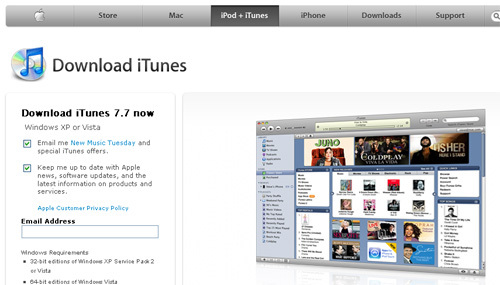 3:41 AM – I was able to visit Apple’s website and download iTunes 7.7 from there. iTunes wasn’t showing an update from clicking Help > Check for Updates. It is installing now. I will update this post as I have more info. 3:53 AM – Wow, this is taking forever!!! 4:20 AM – I see no changes reguarding the App Store. What is 1.18 GB and 1 hour and 43 minutes and 58 seconds? The Keynote of the iPhone 3G. It is now available via iTunes from Apple. You can subscribe here.